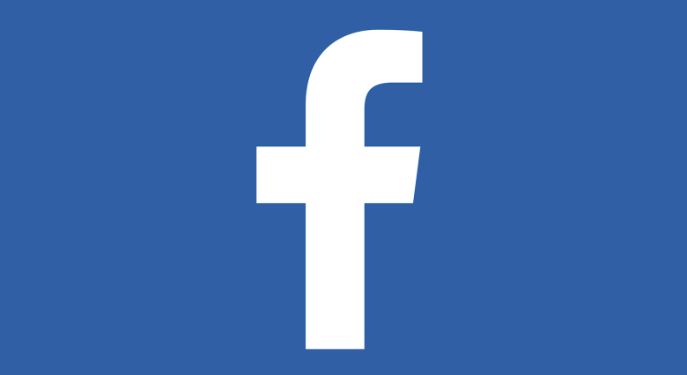 Facebook has launched new minor targeting options for advertisers including friends of newly engaged users, newlyweds and recently moved users. New ad campaigns gives the newer “ad sets” the ability to feature targeting, placements and bidding – great news for smaller businesses who can use targeting without having to invest in bidding tools. Snapchat chief executive Evan Spiegel has hinted about the introduction of adverts for a while and now the first one has appeared. Found inside the app’s Recent Updates screen for US users over the weekend: a 20-second trailer for horror film Ouija, paid for by studio Universal Pictures (obviously neither parties have disclosed how much the spot has cost). 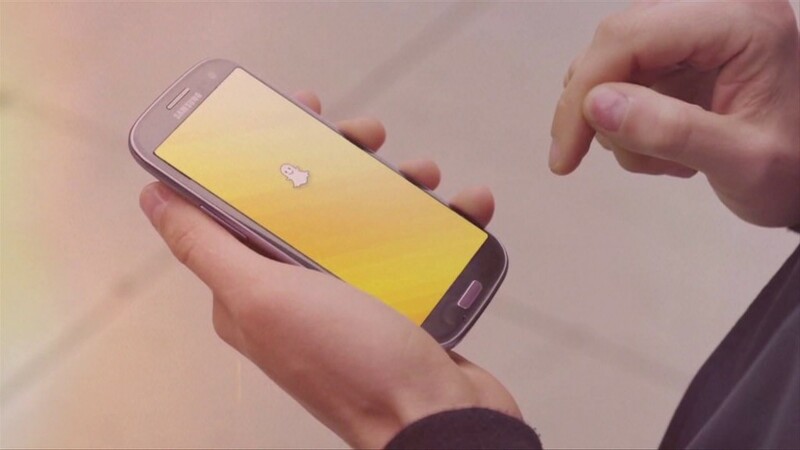 Despite the development Snapchat maintains that messaging will not be forced onto users stories, instead they will have to choose to watch any advertisement in the Recent Updates area. For now at least. Twitter has built a new card for playing audio inside tweets using the music catalog of Soundcloud and iTunes. Not only do these Twitter Audio Cards allow you to play a song with a single tap but you can also continue listening even as you scroll through the timeline. So far Foo Fighters are the only users spotted featuring the playable tweets but Twitter has assured this will roll out to more artists in time – and we can’t wait to see how! 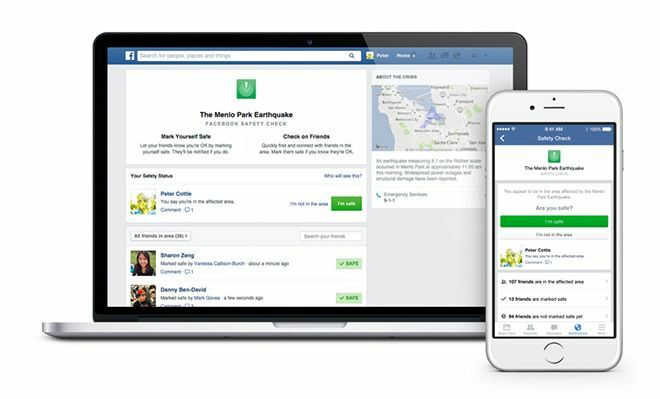 Facebook Safety Check is a new feature designed to tell friends you’re ok during natural disasters – using push notifications on devices nearby an affected area Facebook determines location from cities listed in profiles, last location from the Nearby Friends feature, or even the area you’re using the internet from. By tapping an “I’m Safe” button a notification and feed story will be generated and shared automatically – early tests have already proved very successful! 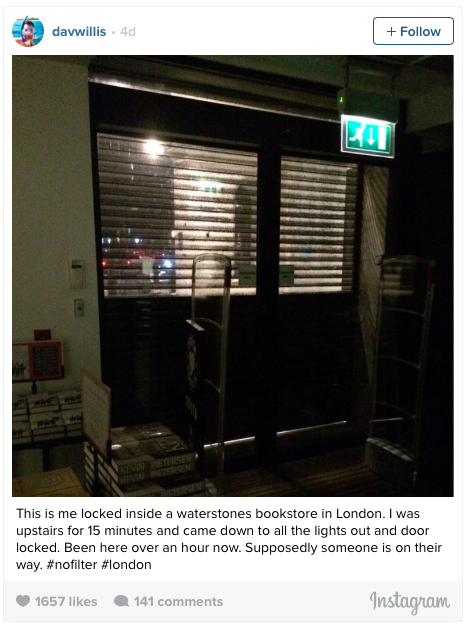 An American tourist unwittingly became a viral hit when he was trapped in a Waterstones store for hours and took to Twitter and Instagram to get help. Hours after the store had closed the official Waterstones Twitter account announced: “We’re pleased to announce that David Wills is a free man once more. Thanks for your concern and tweets!”.